‘Petrified Carpets’ is a collection of concrete architectural objects inspired by the ideal garden found in Persian carpets. The carpet is interpreted here as a planimetric representation of a garden. Its motifs of the frame, the central medallion and the grid – resemble various architectural elements found in Persian gardens such as the surrounding wall, the central fountain, the kiosk, and the doorways to the garden. 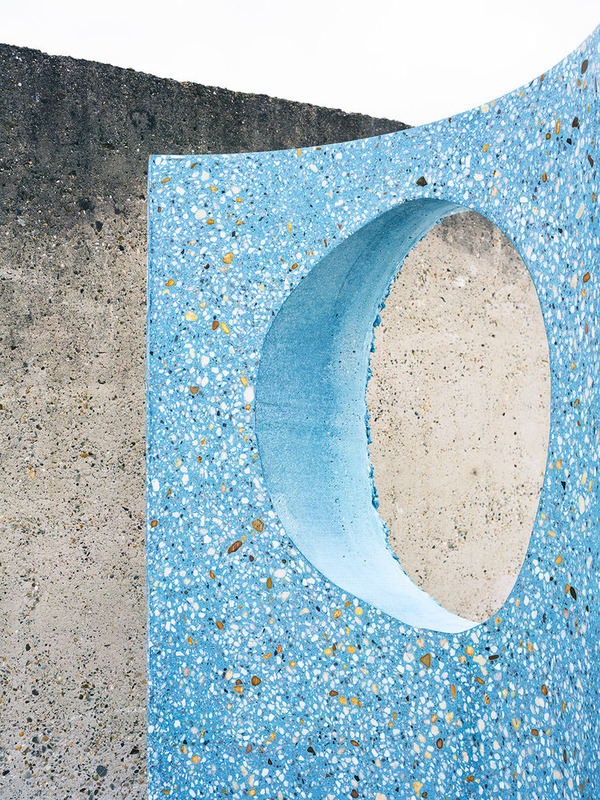 Experimenting with different techniques of casting, coloring, and texturing concrete, Studio Ossidiana has translated these elements into tactile concrete forms. Through the collaboration with high-end prefabricated concrete manufacturer Hurks Prefabbeton, the objects expose the lively and bright character of a material that has, in the building industries, progressively lost its expressive potential. The project combines pigments, stones, sand and cement in different ratios in each object, making reference to the contours, tones, and shades of gardens.